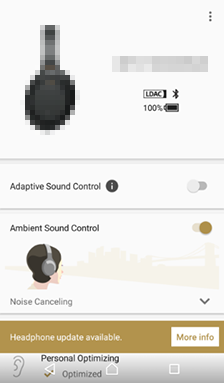 Note: In order to use Amazon Alexa by using WI-1000X/WH-1000XM2, you have to use "Sony | Headphones Connect" Ver. 4.0.0 or later. 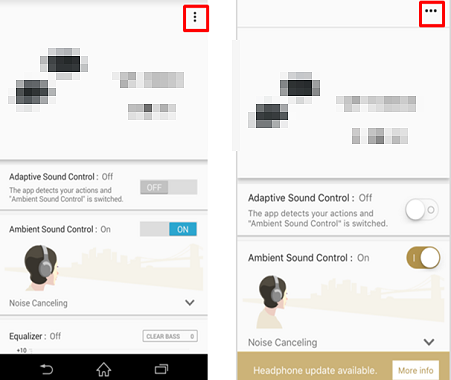 NOTE: Do not charge the battery or turn off your headphones while downloading updates, transferring data or updating, otherwise the headphones may become unusable.If a disconnection message is displayed, wait until it automatically reconnects. 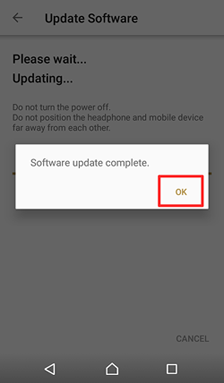 NOTE: If the screen is not displayed, check whether the version has been upgraded in the following step. 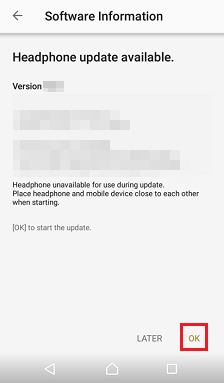 After that, restart "Sony | Headphones Connect" and update again.